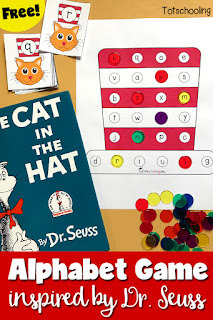 For all Dr. Seuss lovers, this Truffula tree counting activity is perfect to celebrate Dr. Seuss' birthday or to go along with the classic book "The Lorax". 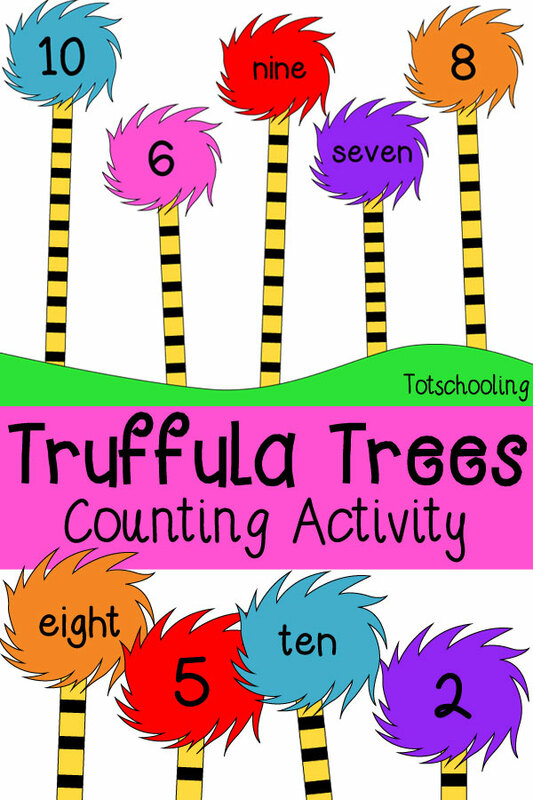 Count the black stripes on the truffula trees and match it with the correct number or number word! 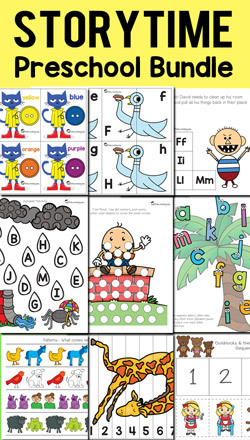 In Dr. Seuss' story, the Lorax, truffula trees are long, striped trees with a large colorful tuft at the top. 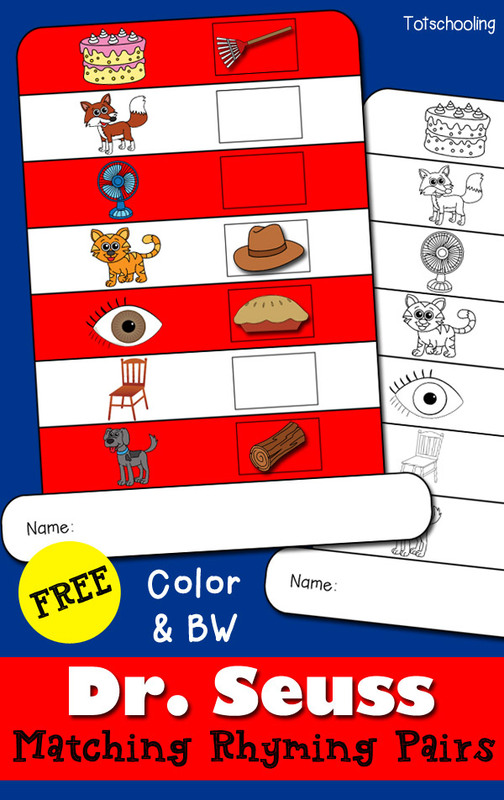 I created this FREE printable where children can count the black stripes on each tree and then place the matching tuft with the correct number or number word. 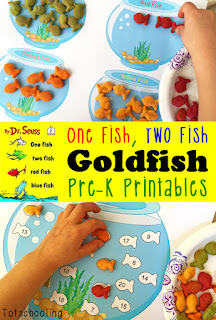 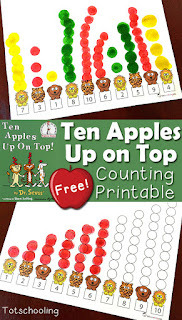 Includes numbers 1-5 and 6-10 and can be great for toddlers, preschoolers as well as children learning to read.